The college was ranked in the top 100 in the United Kingdom and the top 10 in Northern Ireland in the 2018 The Sunday Times Parent Power Best UK Schools Guide, which ranks schools based on GCSE and GCE Advanced Level examination results, truancy rates and pupil destinations. It is described by The Guardian as having "the feel and confidence of a good public school". In rugby, the college has won both the Ulster Schools Cup and the Medallion Shield a record 36 times outright. The college choirs have won Songs of Praise Choir of the Year, Sainsbury's Choir of the Year and RTÉ All-Island School Choir of the Year. The Chapel Choir has performed in Westminster Abbey and the Carnegie Hall as well as during Queen Elizabeth II's visit to the Republic of Ireland. Past pupils of the college are known as Old Collegians and the college has a former pupils' organisation that brands itself as Methody Collegians. They have branches across the world, including London, Hong Kong and Canada. The college has links with Belfast Harlequins, the successor of the former sports club for staff and past pupils, Collegians. Methodist College is a registered charity. Methodist College Belfast was founded in 1865 by the Methodist Church in Ireland and opened three years later in 1868. In 1844, the Conference of the Methodist Church in Ireland approved a proposal to establish a Methodist school in Belfast. Shortly after, a decision was taken to relocate the site of the school to Dublin. Funds for this school were raised in 1845 and it was opened the same year first as the Wesleyan Connexional School and later Wesley College. It was only in 1855 that the idea was raised of founding a school specifically for the education of sons of ministers like the Methodist Church in England had at Kingswood School in Bath. Funds were raised with significant amounts coming from the US and England. The original site for the school was to be in Portadown but the location was changed, first of all to Dublin. Land was acquired in Dublin but proceedings stalled. Several prominent Belfast Methodists began a campaign to have the school built in Belfast. The Methodist Conference allotted the remaining £2000 left from the purchase of the Dublin site to Belfast so long as they could raise £8000 extra with the added proviso that no building could take place until they had raised £10,000. A last attempt was made 1863 for the building to take place in Portadown but this failed. The necessary money had been raised by 1864 to satisfy the Conference’s stipulations but it was held that £10,000 would not be sufficient. Further fundraising missions were made to the United States and England in 1866. These were led by Robinson Scott, the Rev Robert Wallace and William McArthur. Wallace would die on this mission in Cincinnati from Cholera. However an additional £10,000 was raised. Several subsequent missions took place to fund building work. The present site of the college, near Queen’s University Belfast on the Malone Road, was purchased by James Carlisle and offered to the committee on the same terms. The site covered 15 acres all of which have been developed by the college to the present day. In addition to the school it was proposed that a strip on the North side be let for building and the rest used by the college. This would become College Gardens which is still owned by the college. The school originally had a dual foundation as a school and a theological college and the school was designed with this in mind. The architects firm Joseph Fogerty & Son of Dublin won with their bid to design the school. The foundation stone for the Main Building was laid in 1865, and in 1868 the College was opened. From the outset, the school catered for boarders and day pupils with accommodation on site. Although the school was founded as an all-boys institution, girls were very quickly included when ladies classes began. However, as they were strictly segregated from male pupils this put significant pressure on space. In the years that followed, wings were added to the main building. In 1877 a porter's lodge was built at the Lisburn Road end of College Gardens which was the only college building designed by notable Belfast architect Charles Lanyon. Also in this year, it was decided that no land would be let along the Lisburn Road. Although originally conceived primarily as a school for the education of the children of Methodist Ministers, the school has been interdenominational from its inception. During this time the college prepared some students for the examinations (including degree examinations) of the Royal University of Ireland. While day classes had been provided for girls for the early years, there was no provision for the daughters of ministers to board as the boys could. This was remedied by a gift from Sir William McArthur to found a Hall of Residence for girls. Building work on McArthur Hall was completed in 1891. The hall was designed by Sir Thomas Newenham Deane and his son Thomas Manly Deane. No further major building work would take place until the 20th century but there were modifications were made to existing buildings including the creation of science labs. In 1901 it was decided that the provision for science in the school was insufficient and a dedicated science block was constructed which included two lecture rooms and now comprises H-Block. During the course of the First World War 428 pupils served in the armed forces and 80 were killed. Further specialised rooms were built in 1919 including more labs, art rooms and classrooms. In an attempt to provide classroom space to a growing student population, the college purchased second hand American Hospital Huts which were erected across the school in 1921. One of these huts remained in the college, between the Whitla Hall and the Drama Studio, until the early 2010s. The Marquess of Londonderry donated books to the college that were used in the school's Londonderry Library. Around this time with the theological students gone and the Headmaster moved out of his rooms to College Gardens, the Main Building was remodelled to better accommodate boarders. Like other schools at the time, the boarders lived in “houses” but unlike other schools, rather than staying in the same house during their time there, they would move from house to house as they progressed through the school. The houses were Bedell House, Castlereagh House and Kelvin House and the boys would move up through them. They were named after two prominent Irishmen and one Englishman; Anglican clergyman William Bedell, born in Essex but dying in Cavan, Statesman Robert Stewart, Viscount Castlereagh and scientist William Thomson, Lord Kelvin. There was also another house for day pupils named after Lord Wellington. In 1932 the college purchased Pirrie Park from Harland and Wolff with the financial aid of WIlliam Fullerton and Hugh Turtle. It had already been partially developed by Harland and Wolff including the erection of a pavilion. The college began work to convert this pavilion into a Preparatory School. It was called Downey House and named after John Downey, a benefactor to the college. Following a bequest of £10,000 for a chapel, library or hall from a governor of the school, Sir William Whitla, the college completed the construction of the Whitla Hall in 1935. Further modification were made to the science rooms in 1936 to bring them up to required standards. Due to governmental restrictions no significant building work took place in the college during the Second World War which included maintenance. As a result, many buildings deteriorated including the huts which were still being used as classrooms. In addition, McArthur Hall was rented to the Government for war use. 16 members of staff and over 1000 former pupils joined the reserve forces, including the Territorial Army and RNVSR and saw active service. 101 men lost their lives in the war. Unlike other city based schools, the governors at Methody decided against relocating outside the city. Adaptations were made to the college to provide additional protection to the school. The Main Building's Victorian basements were reinforced and campbeds and bunks installed. Fire escapes were added and a fire engine bought. The college was thankfully unaffected by the Belfast Blitz in April 1941. After the evening of the first raid, the college offered the Whitla Hall as a refuge for people who had been left homeless and from the evening of the following day, people began to arrive. Food and beds were provided for the men, women and children until the women and children could be evacuated to the country and the men who needed to work in the city were moved into hostels. Until the end of the war and food rationing, Pirrie Park was cultivated to grow crops along with raising hens and ducks. With the passing of the 1947 Education Act, all children over the age of 11 had to be enrolled in secondary education so creating the grammar school system as understood today with the selection taking place after the age of 11. This resulted in a large increase in the number of applications to institutions like Methody and the number of pupils increased significantly. One of the houses in College Gardens fell vacant and was converted into a second preparatory department in 1950. It became known as Fullerton House, named after William Fullerton who had been a governor, Chair of the Board and founder of Downey House. Extensions to this were made to the adjacent house in 1957. The existing preparatory department, Downey House, also received extension works in 1954. In 1959 a boathouse for rowing was built at Lockview Road in Stranmillis. Additional classrooms in what are now called K, L and M blocks were added as well as a lecture theatre, specific rooms for Home Economics, other classrooms (F Block), a canteen and gym were completed. In 1954 HRH the Duchess of Kent, accompanied by Princess Alexandra, opened the college's extension. The later 20th century was a very turbulent time in Northern Irish history and became known as "The Troubles". While the Troubles touched nearly everyone in Northern Ireland, the school was thankfully materially unaffected. The 1960s and 1970s were a period of intense building work for the college, particularly in the run up to the centenary in 1968. This included new labs, modern language classrooms (E block), a new music department and indoor swimming pool, further science labs (now J and N blocks) and a gym. The science laboratories and swimming pool were opened by the Governor of Northern Ireland, Lord Erskine, in 1966. In 1968 the Chapel of Unity, Methody's first chapel on the college grounds, and a permanent memorial to the college’s centenary, was completed. The organ in the Chapel was donated as a gift from Corpus Christi College, Cambridge. The Prime Minister of Northern Ireland, Terence O'Neill, presented the prizes at the college's centenary prize day. The Worrall Centre, a building specifically for the 6th Form students, was completed in 1972. In 1975 Fullerton House was rehoused in its present position, facing the Lisburn Road and closing off the quad. The Sports Hall and art rooms were opened by Sir Roger Bannister in 1995. The Walton Building, which included new science labs and computer suites was also constructed in the early 1990s. This building was named after Methody alumnus Ernest Walton, who won the Nobel Prize in Physics for splitting the atom. In 2005 the boathouse the college had been using was judged to be below standard and a new one was constructed on the same site. Further developments were made to sporting facilities when the David Wells Pavilion, named after the College’s Director of Rugby, was opened at Pirrie Park. In 2008 it was announced that in 2010 the boarding departments in McArthur Hall and the Main Building would close, ending a 142-year history of boarding at Methody. The rooms will be converted into classrooms. The college has been vocal in its opposition to the Burns Report into Post Primary Education in Northern Ireland. The college is one of the schools calling for the continuation of academic selection in Northern Ireland. which the arts doth nourish. Rev. William Arthur A.M. (1868–1871) was President of the Methodist Conference in 1866. Dr Henry R. Parker (1879–1890). He left to become joint Headmaster of Campbell College. Ernest Isaac Lewis (1912–1917). Chemistry scholar and educationalist who devised the 'Bridge' course to introduce senior public school pupils to industry. Rev Albert Ball FRSE (1948–1960). Rev Ball was previously Rector of the Royal High School, Edinburgh. Dr Stanley Worrall MA(Cantab) BD (Lond) (1961–1974). Dr Worrall was previously principal of Sir Thomas Rich's School and was chairman of the Northern Ireland Headmasters' Association. The Worrall Sixth Form Centre was built in the modernist architectural style and was named in his honour. A vorticist mural was painted on one interior wall of the centre's "rec floor". Worrall left to pursue his interest in the ecumenical movement. Dr James Kincade, CBE (1974–1988). Dr Kincade also served as the Chairman and National Governor, Broadcasting Council for Northern Ireland. Thomas Wilfred Mulryne, OBE (1988–2005), a Methodist College alumnus, a Church of Ireland lay preacher and a Classics graduate of St Catharine's College, Cambridge, he taught at the College before being named Headmaster of the Royal School, Armagh in 1979. In 1998 he was awarded an honorary Doctorate of Education by the University of Ulster. Shortly after his retirement in 2005, he was awarded the Allianz Award for Services to Education in Ireland, along with a Distinction Award from the Belfast Institute of Further and Higher Education. He now sits on the Governing Bodies' Association (GBA) for schools. Cecilia Galloway (2005–2006). Former headmistress of the Royal Latin School, Buckinghamshire, she succeeded Wilfred Mulryne at Christmas 2005. She was the first female head in the school's history. In 2006, her management style was criticised and staff claimed that she had increased their workloads but she denied the claims, stating that her style was "democratic, transparent and straight-talking". On 20 October 2006, Galloway announced that she was resigning from Methody, citing personal problems. She officially left her post on 31 October 2006. Maureen P. White (Acting) (2006–2007). Following Mrs Galloway's departure, Mrs White assumed the acting headship. She had joined the College as a modern languages teacher, and was Senior Vice-Principal before taking the role of Acting Principal. Scott Naismith (2007–present). Appointed by the Board of Governors in March 2007, formerly of Regent House, Newtownards. He assumed office in the summer of 2007. John Anderson Hartley was second master at the college and was later Vice Chancellor of the University of Adelaide from 1893 to 1896. J. W. R. Campbell was a Methodist minister, President of Methodist College and dean of residences at Queen's University of Belfast. In 1921 he became a senator in the Parliament of Southern Ireland. James Johnston taught at Methody and later became Archdeacon of Gibraltar. The Rt Hon David Bleakley CBE was head of the department of economics and political studies at the college from 1969 to 1979. Prior to this he was a Northern Ireland Labour Party Stormont MP from 1958 to 1965. He became Minister for Community Relations in 1971 and a Member of the Northern Ireland Assembly in 1973. The college is a grammar school, and therefore admits pupils using academic selection. Methody's performance in public examinations is consistently far above both the Northern Ireland and the United Kingdom average. In the 2017 A2 Levels, 16.0% of grades awarded were A*, 43.5% awarded were A*-A, and 76.3% awarded were A*-B, compared with the UK average of 8.3%, 26.3%, and 53.1% respectively. In the 2017 AS Levels, 33.2% of grades awarded were A, and 78.0% awarded were A-C, compared with the UK average of 23.8%, and 63.6% respectively. In the 2017 GCSE examinations, 25.2% of grades awarded were A*, 57.9% awarded were A*-A, and 95.2% awarded were A*-C, compared with the UK average of 7.1%, 21.3%, and 65.3% respectively. In the 2016 A2 Levels, 10.3% of grades awarded were A*, 42.7% awarded were A*-A, and 70.4% awarded were A*-B, compared with the UK average of 8.5%, 25.7%, and 50.9% respectively. In the 2016 AS Levels, 36.9% of grades awarded were A, and 84.6% awarded were A-C, compared with the UK average of 21.5%, and 60.9% respectively. In the 2016 GCSE examinations, 22.6% of grades awarded were A*, 56.3% awarded were A*-A, and 96.6% awarded were A*-C, compared with the UK average of 6.5%, 20.5%, and 66.9% respectively. In the 2015 A2 Levels, 15.0% of grades awarded were A*, 42.4% awarded were A*-A, and 72.1% awarded were A*-B, compared with the UK average of 8.2%, 25.9%, and 52.8% respectively. In the 2015 AS Levels, 33.6% of grades awarded were A, and 77.5% awarded were A-C, compared with the UK average of 20.2%, and 62.6% respectively. In the 2015 GCSE examinations, 23.8% of grades awarded were A*, 55.3% awarded were A*-A, and 96.1% awarded were A*-C, compared with the UK average of 6.6%, 21.2%, and 69.0% respectively. In recent years, almost all 6th Form leavers have proceeded to full-time education. The school routinely prepares pupils for places at top Russell Group universities in the UK, including University of Cambridge, University of Oxford, Imperial College London and University of Durham. From the 2017 6th Form leavers, 84.7% of students proceeded to Higher Education, 2.0% went to Further Education, and 11.2% took a gap-year. Methody is the NI hub school for the University of Cambridge Higher Education + Programme and every year the school prepares students for both University of Cambridge and University of Oxford entry. The University of Cambridge student newspaper, Varsity, has previously listed Methodist College Belfast as one of the University of Cambridge's top ten feeder state schools. The Chapel Choir has led worship in Westminster Abbey in August 2002, 2004, 2006, 2008, 2013 and 2016 when the Abbey Choir were on holiday, and have performed in several radio and television broadcasts, such as the BBC's Songs of Praise. The Chapel Choir was chosen as the only school choir from Europe to perform in the US Premiere of Karl Jenkins' "Gloria", in the Carnegie Hall, on 17 January 2011. The Chapel Choir performed at a reception at the British Embassy during the state visit of Queen Elizabeth to the Republic of Ireland in 2011. Several members of the Girls' Choir sang at the official opening of the Millennium Dome in 1999 and in 2005 the Girls' Choir performed with the Vienna Boys' Choir, in Vienna, Austria as part of the Fifth World Choral Festival. The College has also sent several Choral Scholars and Organ Scholars to Oxford and Cambridge colleges in recent years. The Senior Chorus consisted of every pupil from Fourth Form to Upper Sixth; they performed choral works at some events throughout the year. The last performance of the Senior Chorus was at the 2014 Easter Concert, after which it was dissolved. The Chorus' duties have since been taken over by the smaller Senior Choir. This tradition had been established over many years. When Henry Willis was Director of Music at Methody from 1957–66, large scale choral works were undertaken by the Senior School, which continued under William McCay. Dr Joe McKee OBE was Director of Music from 1991 to 2002, and he arranged for the Senior Chorus to sing in public performances outside the College. With the Director of Music, Ruth McCartney MBE, the Senior Chorus learned one large-scale choral work each year, starting in September. The Senior Chorus performed on three occasions in the school year: Senior Prize Distribution, College Carols, and the Easter Concert. At the Senior Prize Distribution in October, they sang two movements from the choral work, as well as another popular tune. At the College Carols, in December, they sang two movements from the choral work, as well as a Christmas piece. The Easter Concert was the most important event in the Senior Chorus calendar; in the second half of the concert, they sang the entire choral work, followed by a popular tune. At Senior Prize Distribution and the College Carols, they were accompanied by the Senior Orchestra, and at the Easter Concert they were accompanied by the Easter Concert Orchestra, made up of some members of the Senior Orchestra along with other guests. The College holds several public musical events throughout the year. Senior Prize Distribution is held in October, in the Queen's University Belfast Sir William Whitla Hall and features performances from the Girls' Choir, Senior Choir, Senior Orchestra, Jazz Band, and the Band. The Autumn Concert then follows, normally held in a church or cathedral in Belfast, which features performances various musical groups. In December, a Service of Nine Lessons and Carols is held in the Chapel of Unity. This features several Christmas carols sung by the Chapel Choir, interspersed with Bible readings by pupils and staff. On the last day of the Winter term, College Carols is held in Fisherwick Presbyterian Church. The Easter Concert is the biggest musical event in the school year, and has been held in the main auditorium of the Waterfront Hall in recent years. The first half of the concert consists of performances by each of the College's music groups, and the second half of the concert features the Senior Choir & Orchestra performing a large-scale choral piece, followed by a popular piece of music. The light-hearted Band Concert is held in the Whitla Hall of the College near the end of the Summer Term. Every other June, there is a Summer Serenade held in a church in Belfast. The musical calendar ends with Junior Prize Distribution, which features performances from the Junior Choir, Junior Orchestra and the Band. The College 1st XV have won the Ulster Schools Cup a record 36 times outright, and the Medallion Shield a record 36 times outright. The College owns its own rugby pitches at Pirrie Park. In 2014, the 1st XV defeated Sullivan Upper School 27-12 in the final of the Ulster Schools' Cup. In 2012, the Medallion XV defeated Wallace High School 10-7 in the final of the Medallion Shield. In October 2009, the 1st XV won the invitational Blackrock Rugby Festival, organised by Blackrock College, Dublin a once off event to celebrate that school's 150 year anniversary. The school has played hockey since the 1890s. One of the earliest matches was when a Collegians ladies' team beat the schoolgirls 4-0 in 1896. The College possesses its own artificial turf pitch, located at Belfast Harlequins on the Malone Road. The Boys' 1st XI were the Burney Cup winners in 1999 with the cup being presented to the team by Ulster Branch president and ex-pupil Peter Wood. In the 1985-86 school year, the Boys' 1st XI won the Tasmania Trophy as Irish schools champions, coached by schoolmasters Robert Kenny and Philip Marshall. The most recent success for the Boys' Hockey Club was the U14 XI winning the All Ireland Championship in 2015, along with the Ferris Cup and Bannister Bowl in 2014. Many pupils have represented Ulster and Ireland at Junior and under age levels. In January 2007, Boys' 1st XI player Douglas Montgomery was selected to represent the school as part of a delegation from Belfast Harlequins that met with President of the Republic of Ireland, Mary McAleese in Phoenix Park, Dublin. This meeting was to mark the club's cross community work. The girls club celebrated its centenary in 1996 with a series of special matches. The girls last won the Senior Schoolgirls Cup competition in 2016, beating Sullivan Upper School 1-0 in the final, with Katie Larmour scoring the only goal of the game. The school has the most wins in the history of the Cup, however most of the success came prior to World War II. The girls also won the Kate Russell All Ireland Championship in 2016. Rowing has been part of the college for a long time, and the club has been very successful throughout its duration. Every year the club enters in many events, including Head of the River Races on the local River Lagan, Erne River in Enniskillen and the club has even travelled to London to race the Schools' Head of the River Race on the River Thames. The club is also very active during the summer months, competing at regattas such as Portadown, Neptune, Cork City and the college frequently brings crews down to Cork to race at the Irish Championships. In July 2017, a crew consisting of Alexander Wilson, Calum MacRae, Rory Eakin, James Kelly and cox Hannah Adams placed 2nd in the coxed four, narrowly missing out on the gold to a superb Enniskillen crew, a tremendous result nevertheless. In June 2018, the MCB J16 8 won the Craig Challenge Cup, a very prestigious and major rowing competition for clubs and schools. The event is the Ulster championship for Junior 16 eights with Methody being crowned victorious 16 times in its 59 years of running. Led by long standing coaches and teachers Mr Marron and Mr Forsythe, along with great help from alumnus Mr Barr, a previous winner of the event in 2008, the club brought the cup back to the Lagan for the first time in 10 years on the 9th of June 2018, dethroning Enniskillen after their long string of wins, and beating crews from Bann Rowing Club, RBAI and Enniskillen Royal Grammar School. Every year, Methody and their traditional rivals RBAI compete against each other on the Lagan in "The Race". "The Race" was rowed along with the Craig Cup in 2018. There is a Model United Nations Society within the College. The college has won prizes at the Bath International Schools Model United Nations Conference, Model United Nations at Cheadle Hulme and George Watsons College Model United Nations. In 2003, a delegation of students went to Yale University, New Haven, to attend the Yale Model United Nations Conference. They won the overall best delegation award representing the United Kingdom. In 2005, a further delegation attended the North American Invitational Model United Nations Conference, hosted by Georgetown University in Washington DC. In March 2007 a team from MCB went to New York for the National High Schools Model United Nations. In March 2008, another MCB team attended GWCMUN at George Watson's College, Edinburgh. The team was successful in attaining the best delegation in General Assembly award, as well as jointly winning the best overall delegation award with a team from Hampstead School. A number of delegates also won individual awards. The College regularly sends delegations to the annual conference at its sister school, Wesley College (Dublin). Methodist College Chess Club was set up by Brian Thorpe and Arthur Willans in 1960. After Brian Thorpe's retirement in 1994, Dr Graham Murphy took over and presided over victory in both the Irish Colleges Chess Championship and the British Schools Chess Championship (sponsored at that time by The Times newspaper) in 1995. In addition to the outright victory in the British Schools Chess Championship in 1995, the College finished 3rd in 1970 and 1979, and 4th in 1986 and 1997. The British Schools Championship Plate Competition for runners-up of the zonal heats was won in 1994, the first year the Plate competition was held. Methody won the inaugural Irish Colleges Championship in 1976, the first of several wins. The Ulster Schools Division One title has been won on many occasions. The most distinguished former member is International Master Brian Kelly, who occupied Board 1 in the successful 1995 team. Kelly also won a Gold Medal at the Chess Olympiad in Moscow in 1994 playing at Board 5. Past pupils Brian Kerr, Tom Clarke, Angela Corry and Roger Beckett have also represented Ireland at Chess Olympiads. The Ulster Chess Championship has also been won by Methody alumni on 11 occasions, although only John Nicholson (1971,1973), Paul Hadden (1975), and Brian Kelly (1994) won whilst still at school. Brian Kelly is the only Methody alumnus to have won the Irish Chess Championship - in 1995 and 2007, Tom Clarke having come close, but losing on Tiebreak. Methody has two fee-paying preparatory schools, Downey House and Fullerton House, each with 280 pupils, aged 5 – 11. Their fees for the 2017/2018 year were £4,730. There is a pre-school on the site of Downey House catering for children aged 3 and 4. There has been a preparatory department in the main buildings of the college since it opened in 1868. It received the name Fullerton House in 1951 after the late W.M. Fullerton DL who had chaired Methody's Board of Governors. The present building was opened in 1975 at the Lisburn Road end of the Methodist College campus. The first position however, was in the vestibule of 11 College Gardens, Belfast. Fullerton's motto is 'Veritate Principio'. Downey House was opened in 1933 following the purchase of Pirrie Park from Harland and Wolff, as the college playing fields. The existing buildings were modernised and extended. It was founded by William Fullerton and named after John Downey. Downey's uniform is traditionally different from the rest of Methody as its colours are royal blue and gold. The school's motto is 'Ad Augusta'. The 2008 film, City of Ember, used the school and in particular the Whitla Hall as a filming location. In the 2008 adaptation of Cinderella in the BBC TV series Fairy Tales, starring Maxine Peake, the McArthur Hall was used as a filming location. In the 2008 film, Miss Conception, McArthur Hall is used as the setting for a nunnery. The 2011 novel Popular, and its 2012 sequel, The Immaculate Deception, by Gareth Russell are set in a fictional co-educational Belfast grammar school situated at the top of the Malone Road, based upon the College. Interior shots for the 2014 TV miniseries 37 Days were filmed in the College's McArthur Hall. In September 2015, the McArthur Hall was used as a location for the film adaptation of The Lost City of Z, starring Robert Pattinson. John Edward Campbell 1862 1924 Mathematician, best known for his contribution to the Baker-Campbell-Hausdorff formula. Basil McIvor OBE PC (NI) 1928 2004 Minister for Community Relations and pioneer of integrated education. Sammy Wilson 1953 Politician, 31st and 45th Lord Mayor of Belfast, Northern Ireland Minister for Finance (2009-2013), Minister of the Environment (2008–2009), Democratic Unionist Party MLA for East Belfast (1998-2003), DUP MLA for East Antrim (2003-2015) and DUP MP for East Antrim (2005-). 1960 The first woman to become an Anglican bishop in Ireland and Great Britain. Wikimedia Commons has media related to Methodist College, Belfast. ^ "Methodist College - ISC". www.isc.co.uk. ^ "Schools". Governing Bodies Association NI. Retrieved 30 May 2017. ^ "The Sunday Times Parent Power Best UK Schools Guide 2018 - Belfast Telegraph Report". www.belfasttelegraph.co.uk. ^ Woodward, Will (23 October 2001). "Test paper". The Guardian. ^ a b "BBC 2006 Rugby Schools Cup Final Report including Winners Table". BBC News. 17 March 2006. Retrieved 17 March 2007. ^ a b c d e f "About Methody's Choirs". ^ "Queen Elizabeth II's visit to the Republic of Ireland". BBC News. 12 May 2011. ^ "Photo Gallery of Reunions, Methodist College Belfast". Archived from the original on 3 March 2008. Retrieved 28 November 2007. ^ "Fundraising and Alumni Relations Office" (PDF). www.methody.org. Retrieved 4 April 2019. ^ a b c d e f g h i "Methodist College - History". www.methody.org. 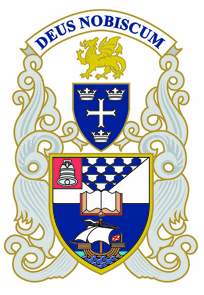 ^ a b c website, Wesley College Dublin. "Wesley College Dublin - History". www.wesleycollege.ie. ^ Henderson, JW (1939). Methodist College Belfast A Survey and Retrospect: 1865-1938 Volume 1. Belfast: Methodist College. ^ Henderson, JW. Methodist College Belfast 1868-1938 a Survey and Retrospect Volume One. Belfast: Methodist College. p. 11. ^ "Methodist College - Home". www.methody.org. ^ "Woodvale Construction Company". www.woodvaleconstruction.co.uk. ^ Falkiner, CL. "Deane, Sir Thomas Newenham (1828–1899)". Oxford Dictionary of National Biography. Oxford University Press. ^ Seldon, Anthony; Walsh, David (2013). Public Schools and The Great War. Pen and Sword. p. 258. ISBN 9781473833111. ^ "A PROGRESSIVE SCHOOL: METHODIST COLLEGE BELFAST". The Irish Times: 3. 16 December 1921. ^ Froggatt, Richard. "The Dictionary of Ulster Biography". www.newulsterbiography.co.uk. ^ "Methodist College - Belfast Blitz 75". www.methody.org. ^ "Court Circular". The Times. London: 8. 1 June 1954. ^ "Methodist College Belfast- The Governor, Lord Ersk - 23639 | Belfast Telegraph Photosales". ^ "Methodist College Belfast- Centenery Prize Day. Th - 23642 | Belfast Telegraph Photosales". photosales.belfasttelegraph.co.uk. ^ a b "Methodist College - Physical Education". www.methody.org. ^ Down, K-Point Internet Solutions - Warrenpoint, Newry, County. "The Dictionary of Ulster Biography". www.newulsterbiography.co.uk. ^ "Methody will honour Schools Cup legend Wells - BelfastTelegraph.co.uk". BelfastTelegraph.co.uk. ^ "Future Development of the College" (PDF). methody.org. ^ "McArthur on Schedule" (PDF). methody.org. ^ "School House Ready for Renaissance" (PDF). methody.org. ^ "Old Collegians". Old Collegians. ^ Henderson, JW (1939). Methodist College Belfast 1868-1938 a Survey and Retrospect. Belfast: Methodist College. p. 23. ^ Henderson, JW (1939). Methodist College Belfast 1868-1938 a Survey and Retrospect Volume 1. Belfast: Methodist College. pp. 23–24, 30. ^ Record of Henry Parker, Wesleyan-Methodist magazine. 1778. Retrieved 28 May 2010. ^ "Ernest Isaac Lewis Papers (MSS.362), Modern Records Centre, University of Warwick". Retrieved 21 April 2007. ^ "Former Fellows of The Royal Society of Edinburgh 1783 – 2002Biographical Index Part One" (PDF). The Royal Society of Edinburgh. ^ "College to have new headmaster". The Irish Times: 4. 7 October 1960. ^ "Former head of Methodist College dies". The Irish Times: 10. 8 January 1992. ^ "Enoch Powell papers Section 4, quoting correct title". Retrieved 19 June 2007. ^ Bloomfield, Kenneth (2008). The BBC at the Watershed. Liverpool University Press. pp. 21–22. ISBN 978-1-84631-160-4. ^ "Wilfred Mulryne". Scouts.org.uk. Retrieved 26 February 2011. ^ "University of Ulster Governance Services Council Member biographies". plangov.ulster.ac.uk. Archived from the original on 3 March 2007. Retrieved 17 March 2007. ^ "First female methody principal resigns post". Belfast Telegraph. 6 December 2006. Retrieved 12 May 2011. ^ "Board of Governors - Announcement of Appointment". Archived from the original on 24 March 2007. Retrieved 19 March 2007. ^ "John Anderson Hartley | Adelaidia". adelaidia.sa.gov.au. Retrieved 30 May 2017. ^ Lee, Henry. "History of the Campbell family". archive.org. RL Polk and Company. Retrieved 30 May 2017. ^ "The Senate of Southern Ireland, 1921". www.ark.ac.uk. Retrieved 30 May 2017. ^ "Ecclesiastical News, Bishop of Gibraltar Enthroned". The Times (54772): 14. 16 May 1960. ^ International Who's Who of Authors and Writers 2004. London: Europa Publications Ltd. 2003. p. 59. ^ "Methodist College - Exam Results Summary". www.methody.org. ^ "Public Exam Results 2017" (PDF). www.methody.org. ^ "Public Exam Results 2016" (PDF). www.methody.org. ^ "Public Exam Results 2015" (PDF). www.methody.org. ^ "MCB Annual Prospectus 2017-2018" (PDF). www.methody.org. ^ Abrams, Fran (1 October 1993). "State schools elite shows Oxbridge entrance expertise". London: The Independent. ^ a b c "Methody Music Society". Archived from the original on 19 August 2010. Retrieved 21 October 2010. ^ "Previous Competition Winners". Archived from the original on 2 August 2012. ^ "Methody students to sing for the Queen". Belfast Telegraph. 12 May 2011. Retrieved 12 May 2011. ^ "BBC - Schools Cup - List of Finalists". BBC News. 14 March 2003. Retrieved 17 March 2007. ^ "BBC Sport 2014 Final Report". BBC News. ^ "Methody Take Honours at Blackrock Festival". Ulster Rugby. 27 October 2009. Archived from the original on 4 April 2012. Retrieved 12 May 2011. ^ "Picture of winning team at 1985 All Ireland Schoolboys hockey tournament". Belfast Telegraph. Retrieved 20 November 2010. ^ "Mary McAleese visit to Belfast Harlequins". Archived from the original on 4 August 2007. Retrieved 31 May 2007. ^ "Methody revel in Schools' Cup triumph after 28-year wait - BelfastTelegraph.co.uk". BelfastTelegraph.co.uk. ^ "Methodist claim All-Ireland Schoolgirls hockey title". The Irish Times. ^ a b "Newsletter - Rowing on Methody website". ^ "MCB are kings of Erne". Belfast Newsletter. 23 June 2008. Retrieved 12 May 2011. ^ "MCBRC Craig Cup 2018". Ciaran Purdy. 10 June 2018. Retrieved 11 June 2018. ^ "MCB web site MUN section". Archived from the original on 28 September 2007. Retrieved 3 June 2007. ^ "Student Model United Nations Network". Archived from the original on 26 September 2007. Retrieved 26 August 2007. ^ "MCB Website GWCMUN Report". Archived from the original on 9 May 2008. Retrieved 25 April 2008. ^ "Methodist College - MUN News 2013". www.methody.org. ^ "Methodist College - MUN Conference". www.methody.org. ^ "Ulster Chess Chronicle player profiles - contains details on the players". Archived from the original on 8 September 2012. Retrieved 20 March 2007. ^ "Methodist College - Entry and Fees". www.methody.org. ^ "Methodist College Fees" (PDF). ^ "History of Fullerton House" (PDF). ^ "Methodist College - Fullerton House". www.methody.org. ^ "History of Downey House" (PDF). ^ a b "Methodist College - Downey House". www.methody.org. ^ "City of Ember (2008)". IMDB. ^ "Fairy Tales: Cinderella(2008)". IMDB. ^ "Methodist College - The Lost City of Z". www.methody.org. ^ Beattie, Jilly. "Robert Pattinson and Brad Pitt film The Lost City Of Z moves into Belfast school". Retrieved 13 September 2015.